EARLY REGISTRATION DISCOUNT EXPIRES NOVEMBER 30! Save $50! Click HERE to register. Early Registration Discount ends November 30! Ask for USATF Rate $129 plus tax and $10 parking (includes full cooked breakfast). Hotel is walking distance to class. The Level 1 curriculum has been accredited by NCACE, the National Council for Accreditation of Coaching Education. This generally makes it eligible for Continuing Education credit for Strength and Conditioning Coaches as well as medical (sports medicine specialists, trainers, massage therapists etc.) and educational professionals. 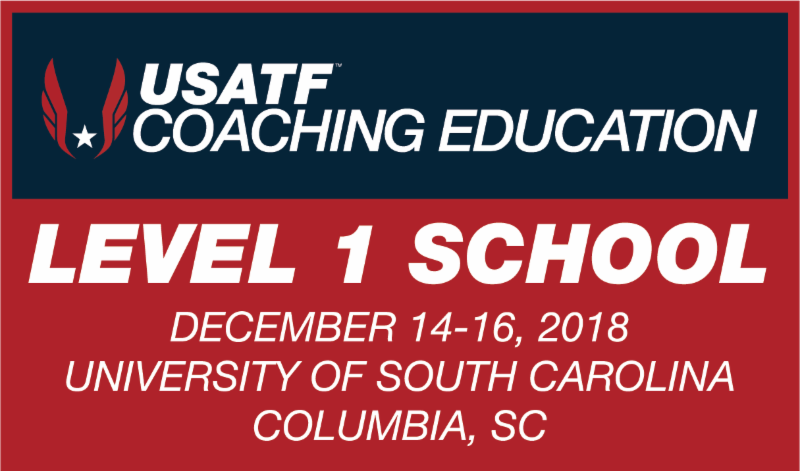 Coaches of Track and Cross Country - especially Middle School, Youth, High School, College, and Masters can benefit from this program. Coaches of Adult Running Clubs and Triathlon Coaches will find this course of value (worth 3 USAT CEU's for USAT Certified Coaches).